Institute Schreuder is a regular primary school located in the cultural center of Amsterdam. We are proud of our small scale (10 groups), the dedicated teachers and parents, our educational offer and our successful achievements (above the country´s average). The student population of Institute Schreuder reflects the diversity of the Amsterdam people. We address our Christian identity by giving attention to the Western norms and values, which we have incorporated into our school rules. If you would like more information about the school, you can call us to make an appointment with our principal. During the meeting our principal will inform you about the educational offers and the way we work at our school. Of course we will also give you a tour of the school to give you a feel of the atmosphere in our classrooms and to see how we approach the children. We strive to set appointments during school hours so that you can see our school in action. After registering at Institute Schreuder you will be invited for an intake meeting. In this meeting we will ask you for information about your son/ daughter and you will receive more specific information and answers to any questions you may have, so that your son or daughter can be placed correctly. A month before the start of school you will be invited by the teacher for an introductory appointment and a trial day for your child. In 2015 almost all primary schools in Amsterdam (over 200), will revert to a citywide equal, transparent and fair admittance policy. This will bring an end to the different rules that each area, neighborhood and school maintained. Applying for a primary school will be done in the same way for each school. Placing children will be automated and done simultaneously according to these new (equal) rules. Institute Schreuder will also participate. Find out if your child has priority at our school. Each child takes precedence over the eight nearest (participating) schools in the area. 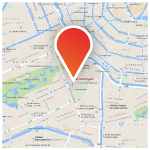 When visiting Amsterdam.nl/schoolwijzer, fill in the postcode and house number of the official residential address of your child (including their birthdate), you will find an overview of the schools involved. There are some schools that do not prioritize by your child’s address. Your child will take precedency at these schools if he/ she meets the specific requirements of that particular school. These schools are Cheider, Crescendo, Rosj Pina, the Morgenster and gbs Veerkracht. Parents of children who will turn four in the school year 2017/2018, have received a letter, brochure and a registration form from the town hall (local government) in September. Fill in the registration form (please do not forget to fill in your telephone number and emailaddress). The name, birthdate and residence of your child is printed on the registration form. In order of preference fill in a minimum of five primary schools. Your number one school should be the preferred school, then fill in number two, etcetera. Is our school your first choice? You can submit the application form with us, completed and signed. As soon as we have processed your registration form, you will receive a confirmation of the registration by mail or email. Make sure all of the information is correctly processed by us. In some cases it is necessary to produce documents when registering. Cases in which this is required; your child has a VVE/indication, the printed information on the registration form is incorrect or if you used a registration form without the printed personal information of your child. Even if your child has registered with our school or another school before, you must submit the application form to the school of your preference. Also when an older brother or sister is already enrolled in the school, it is essential that you submit the application form to us. In this case it is unnecessary to fill in more than one school. The placement of children in primary schools for the entire city is done by computer annually, in March, June and November, under the joint responsibility of the school management. This gives an equal opportunity to each child with equal circumstances. The aim is to give the children a place at their preferred school. If there are sufficient places in a school, all the children who have applied will be placed. If a school has too many applications the placing will be done through a draft. Your child will then participate in the order of the schools that you have specified. Children with a brother/ sister already enrolled at the school of preference (during application) have priority. There will be a guaranteed place for them. Children who have a VVE/indication, who have attended the preschool 4 part-time days a week, for at least 8 months and have chosen the associated primary school as the preferred school. Children who have attended the Integral Child Centre 4 part-time days a week, for at least 8 months at the Integral Child Centre (IKC) and have chosen the associated primary school as the preferred school. Children who have parents working fulltime at the school. Children who have chosen the school as priority school. After the children with priority are placed, the remaining applications will be taken into account for a place in their school of choice. If necessary this group will also participate in a draft. The children who are not drafted will be eligible for a place at the following school from their list of preferences. At this moment we expect to have sufficient place at our school for all new applicants. You will receive a written notification from the school your child has been accepted to, within two weeks of the penultimate submission date. If you would like to place your child at this school, you must inform the school within the specified period as indicated in the notification, generally two to three weeks. 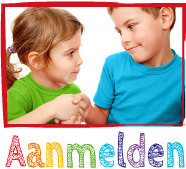 Then follows the final registration of your child, by completing the application form of Instituut Schreuder. Only then your child will have a guaranteed place at our school.